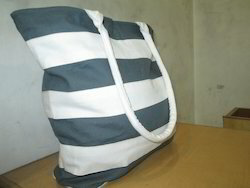 We are offering Cotton Hand Bag to our Client. Description: This is a Designer's Cotton Handbag made with the combination of Leather and Printed Cotton with quilt. It is very specious inside having zippers and mobile case. Providing all types of cotton bags. We offer an elegant collection of cotton bags that are manufactured from graded cotton and are featured with everlasting shining and color fastness. 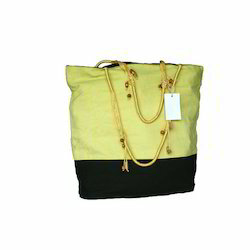 These cotton bags are available in vibrant color combinations and can easily be washed. Our array is appreciated for many designs, styles, and patterns. We also provide customization as per the specific requirements of our clients. The cotton bag is Made in Shantiniketan.